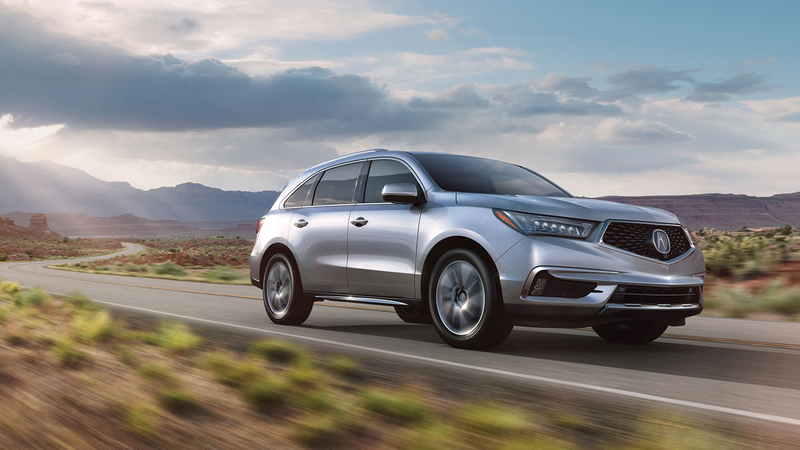 When redesigning the MDX, Acura pushed aside familiar designs and went back to the drawing board to reimagine a luxury crossover. 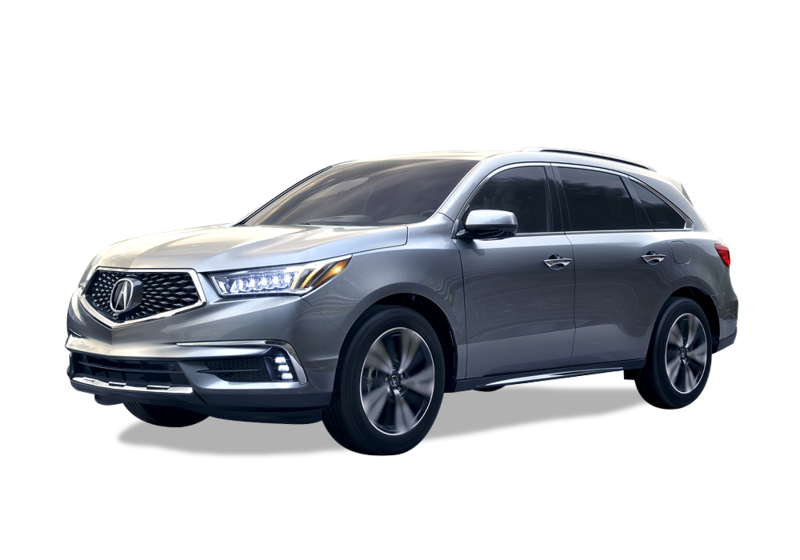 The 2017 Acura MDX brings that redesign to Houston, featuring a fusion of elegance, performance, technology, and safety together in a spacious three-row cabin. 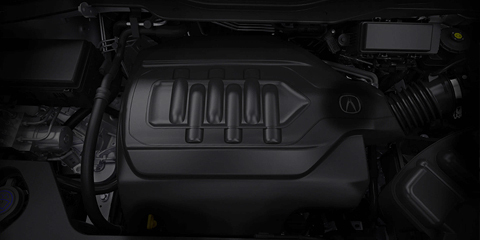 The 2017 Acura MDX features a 3.5L V6 engine under the hood, engineered for both power and efficiency. 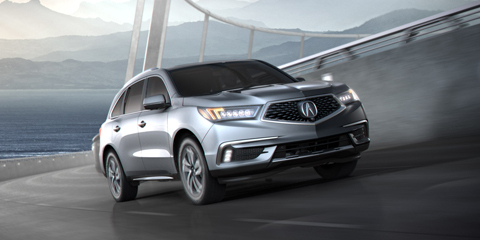 Multiple driving modes ensure your crossover is ready for whatever the road brings, and Acura’s Super Handling All-Wheel Drive (SH-AWD) is available for improved traction and comfort venturing off-road for a weekend adventure. Agile Handling Assist and the standard 9-speed automatic transmission work together to keep the MDX nimble and responsive on any terrain. 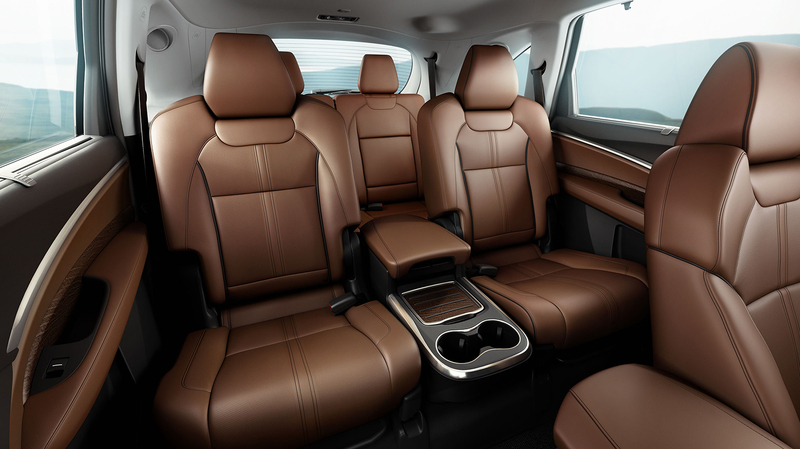 A fuel efficient SUV used to be a laughable idea, but the 3.5L V6 powering the MDX proves that’s no longer the case. 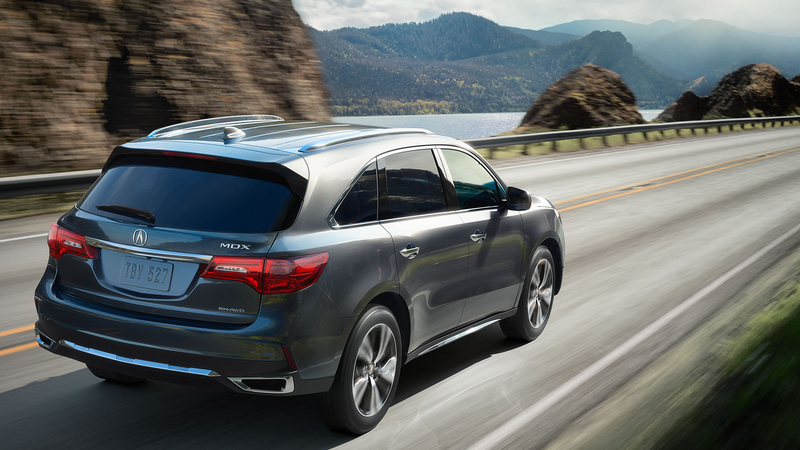 Enjoy an EPA-estimated 27 highway and 19 city mpg on MDX FWD models,** with features like idle stop to help improve efficiency. 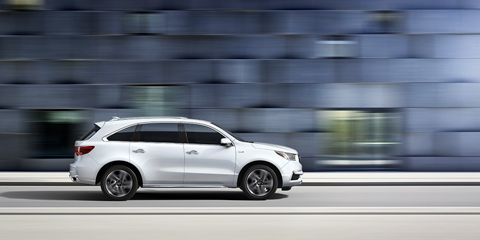 Despite the strong fuel economy, the MDX offers plenty of power with 290 hp and 267 lb-ft of torque. 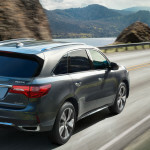 When properly equipped, the MDX can tow 3,500 pounds (5,000 pounds on SH-AWD models), giving you plenty of hauling power for a trailer or boat. 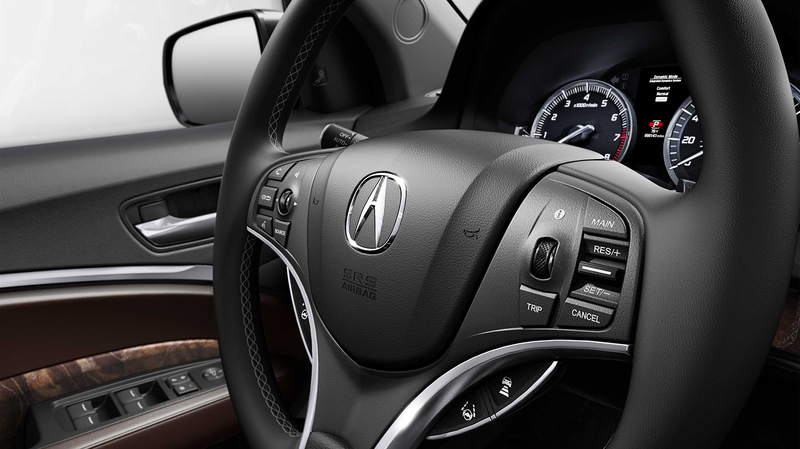 Engineered to be paired with the 3.5L V6 of the MDX, the 9-speed automatic transmission features smooth shifting and standard paddle shifters for added control. Just flick your wrist toward those steering wheel–mounted shifters to change gears as the RPMs climb. 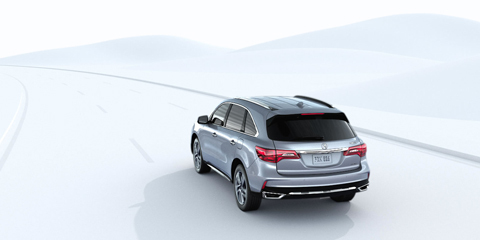 Acura’s unique SH-AWD system sets itself apart by providing an all-weather advantage as well as improved dry road handling. 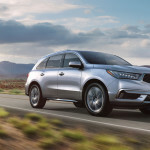 Power and torque are automatically adjusted and shifted from wheel to wheel as the MDX needs it, with torque vectoring sending power to the rear outside wheel to launch you through a curve with ease. 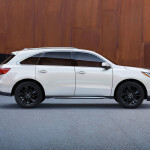 This safety feature monitors driver input and watches where the MDX is heading; if it notices a discrepancy between the two, Vehicle Stability Assist can adjust wheel torque, throttle position, and vehicle speed to help counteract oversteer or understeer and keep the MDX stable. 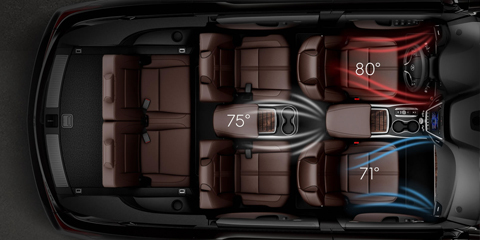 With “Normal,” “Comfort,” and “Sport” driving modes available, the MDX is ready for wherever the road takes you. 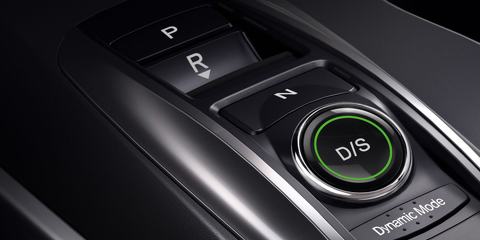 Switch to “Sport” mode for energetic city driving or move into “Comfort” for a smooth ride on a long highway. The 2017 Acura MDX is designed to draw the eye and turn heads, featuring one of the most distinctive silhouettes in Houston. 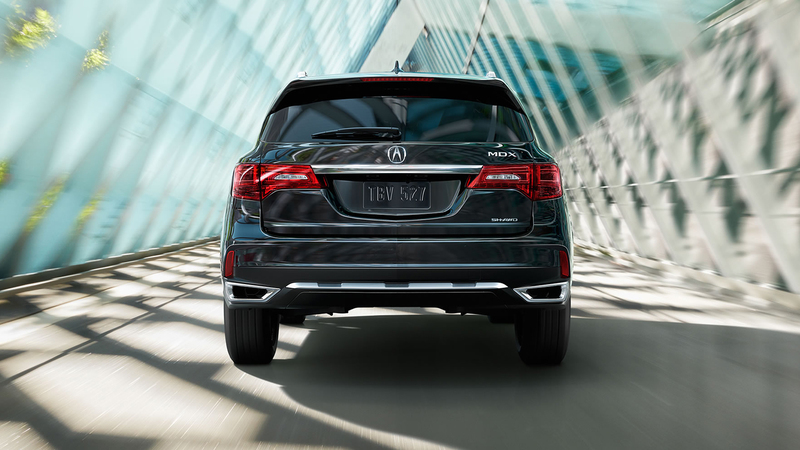 Jewel Eye LED lights are integrated directly into the curves of the MDX while a nearly invisible rearview camera offers a peek at what’s behind you before letting off the brakes. 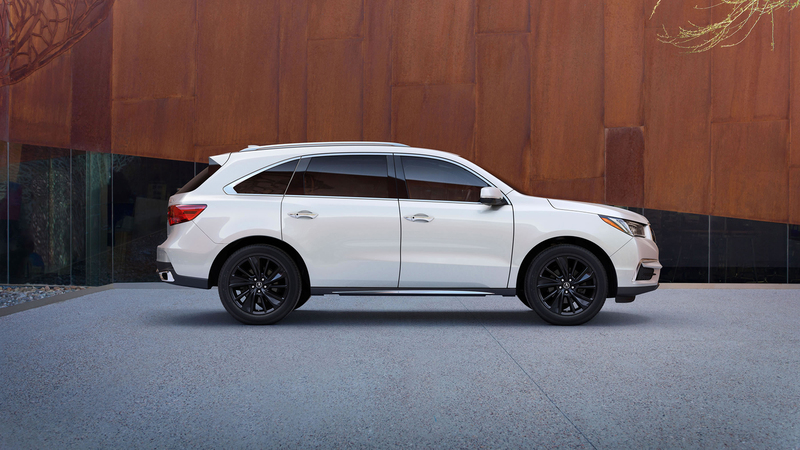 Chrome accents and bold curves give the MDX a style all its own, and it’s ready to make an impression. 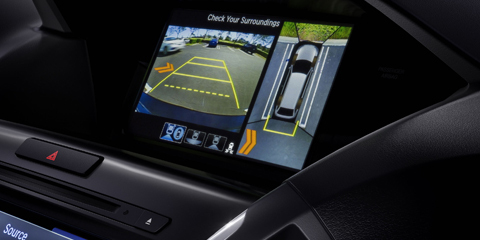 This available camera system uses four exterior cameras to offer a 360-degree view of the space around the MDX before leaving a parking spot. Change views with a convenient button located on the turn signal lever. 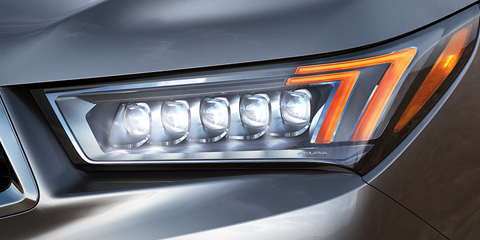 The front end of an Acura is distinctive, and it’s due in part to these headlights. A set of reflectors catches the light whether the lights are on or off, glimmering like jewels; when the LED lights are on, those reflectors brightly illuminate the road ahead with a light whiter than traditional headlights. 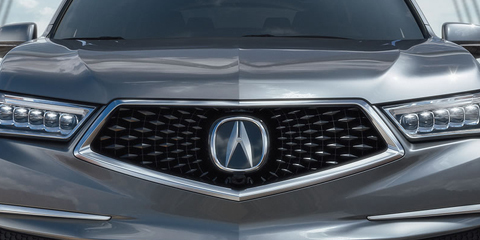 This grille is the new face of Acura, and it has made its debut on the 2017 MDX. 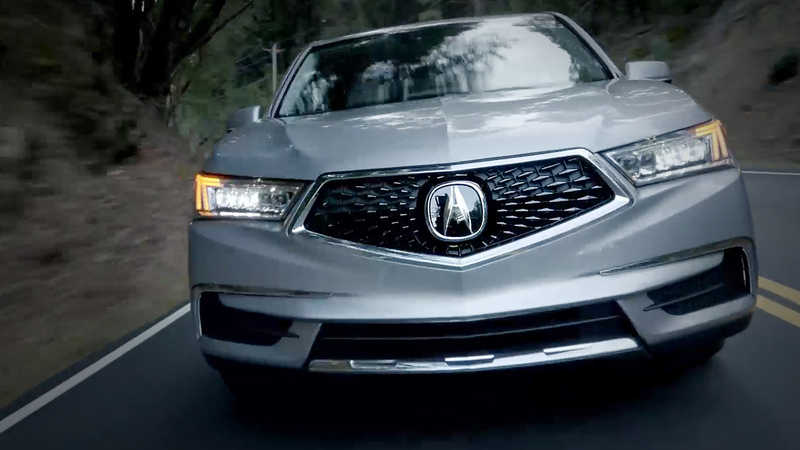 Previewed in the Acura Precision Concept car, this grille contributes to the sleek look of the MDX and is yet another exclusive feature that subtly whispers “Acura” to other drivers. 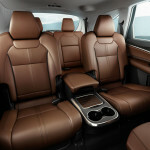 Ask yourself what a refined SUV interior should look like. 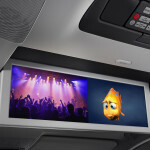 Now take that idea and add an additional level of elegance to it, with upgraded technology and luscious materials. 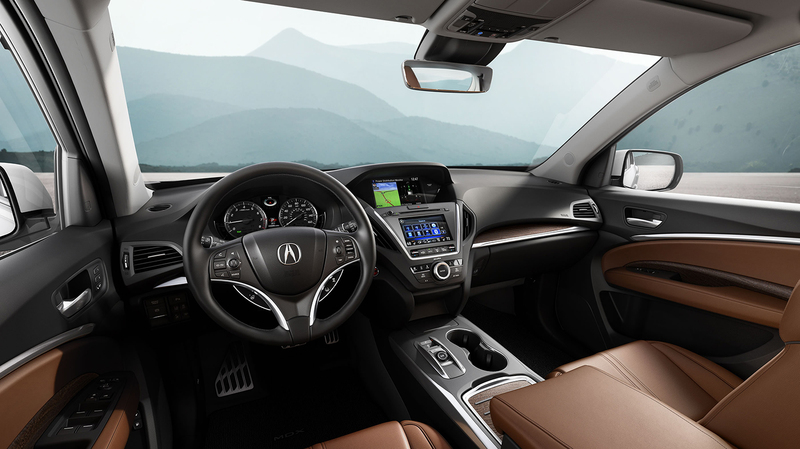 We think that’s the start of the 2017 Acura MDX interior, giving Houston drivers one of the most luxurious crossover SUVs on the market. 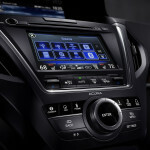 Grammy Award-winning sound engineer Elliot Scheiner worked with Acura to design a premium audio system for their lineup. 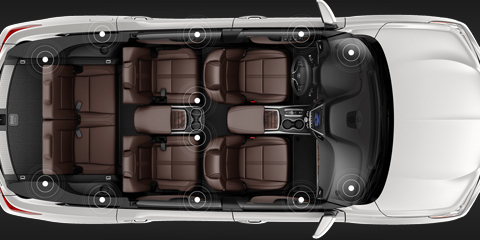 MDX models have a 10-speaker ELS sound system available with as many as two additional speakers to deliver enhanced audio. 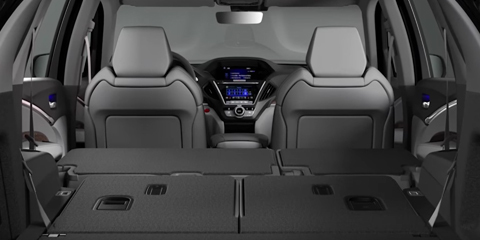 The MDX has plenty of space under its hatch—with power tailgate—but if you need more room, the third row splits 50/50 and the second row splits 60/40, allowing for plenty of space for larger cargo. Tie-down hooks let you keep large objects stable and help secure the kids’ bags and boxes when you take them off to camp or college. 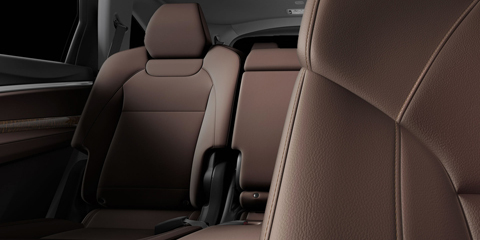 This standard comfort feature detects engine and road noises and emits sound waves designed to cancel them out. 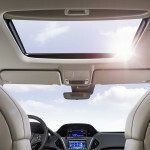 The result is a cabin in which you can hear yourself think and enjoy conversation without having to yell over the wind zipping by as you cruise down the highway. 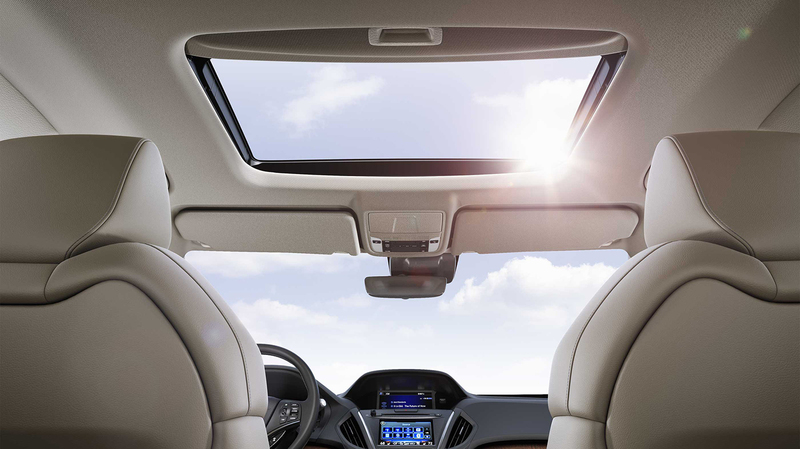 Pick a different climate setting for the rear of the vehicle than for the driver and front passenger, then let the MDX handle the rest. 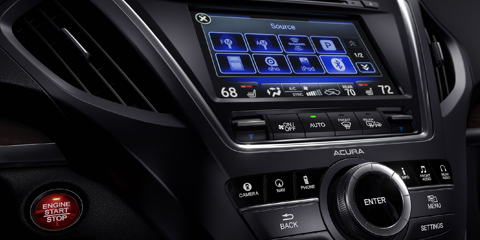 Temperature and airflow needs are accounted for automatically with the MDX’s standard tri-zone climate control, keeping everyone comfy on the daily ride to school or the family road trip. 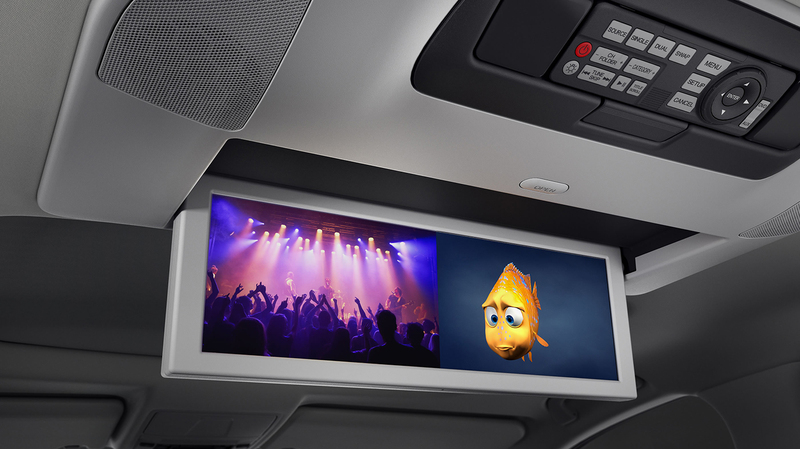 With all of the tech features found on the MDX, one might expect dozens of buttons, but the standard ODMD breaks it down to just nine. The secret? 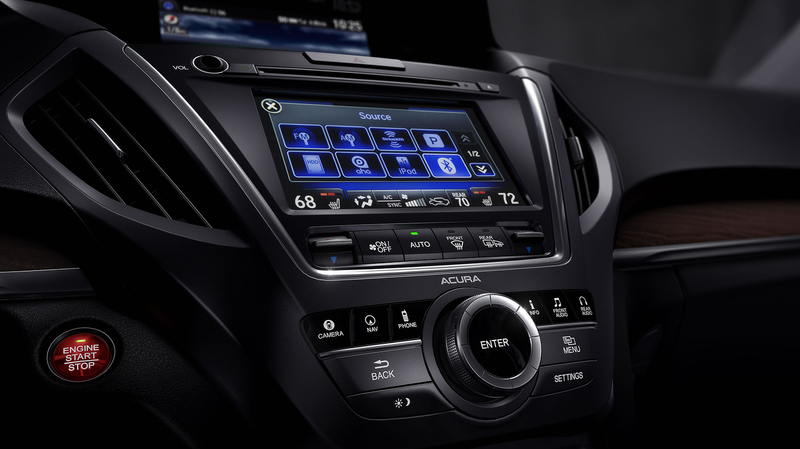 They’re all on a touchscreen display, shifting as you need them to control the features you’re using, resulting in a streamlined look and feel. 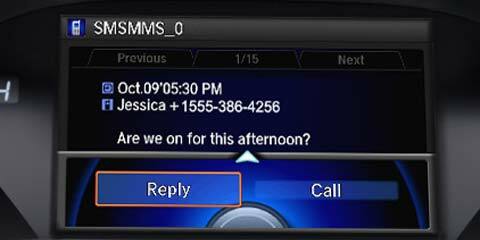 Bring Apple’s famous concierge Siri behind the wheel with Siri Eyes Free for iPhone users. Siri will handle e-mails and SMS messaging to keep you connected behind the wheel while also allowing you to use select iOS apps with voice controls. 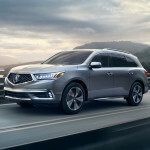 For many drivers, their new MDX is not their first. 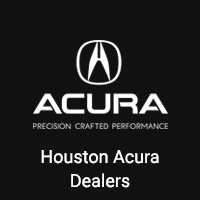 We know Houston families keep coming back to this Acura crossover, and one of the main reasons there are so many repeat drivers is the dedication to safety. The latest model takes AcuraWatch Plus accident prevention features and makes them standard, creating one of the most advanced crossovers on the market. 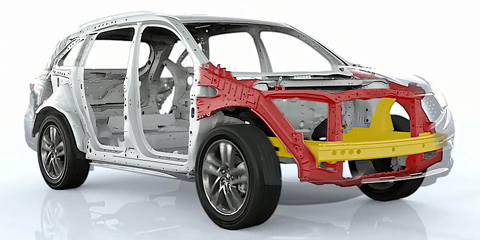 AcuraWatch Plus may take safety to new heights, but the MDX safety starts with the Advanced Compatibility Engineering (ACE) body structure. 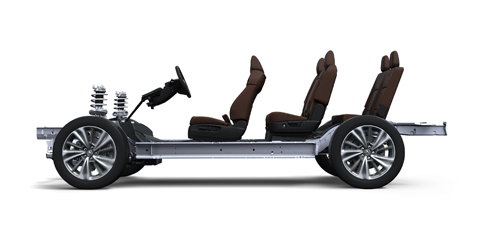 This frame helps to redistribute energy during an accident to keep passengers as safe and secure as can be. 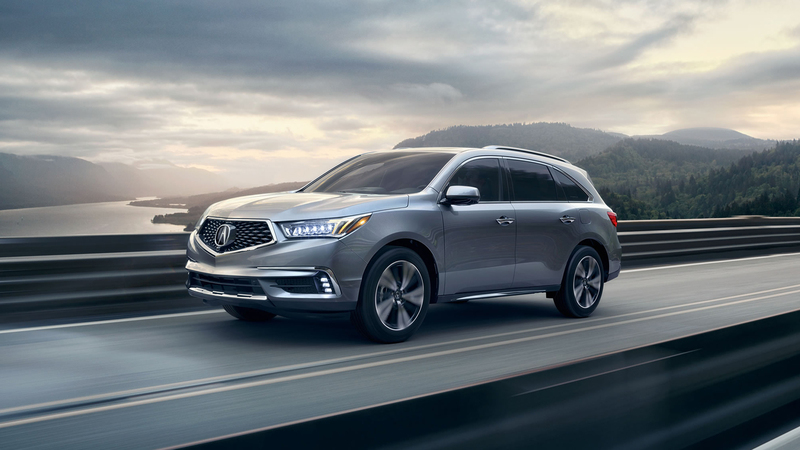 Radar sensors on the MDX track the speed of other drivers, and when you engage Adaptive Cruise Control, the MDX will adjust cruising speeds to keep pace with other vehicles so you don’t have to constantly alter your cruise settings. 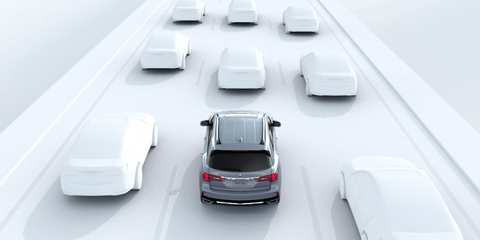 The radar systems of Adaptive Cruise Control can also sense when the MDX is approaching a vehicle too quickly. 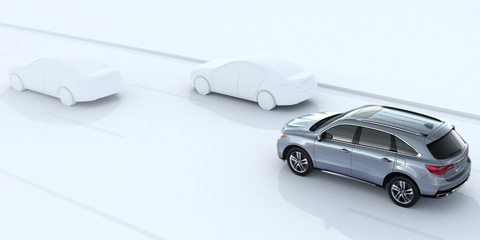 If it detects a likely collision, the safety system warns the driver, then the Collision Mitigation Braking System automatically applies the brakes to slow or stop the vehicle before the collision. 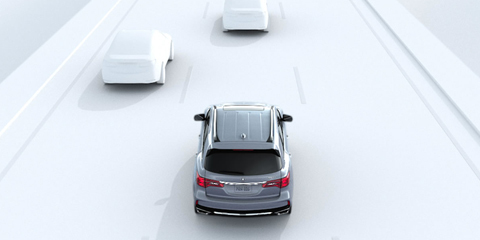 Akin to raised pavement markers on the highway, but much less intrusive, Acura’s Lane Keeping Assist System will keep your vehicle centered—whether you’re on a curved road or long straight away. Thanks to a forward-facing camera located on the rear view mirror, Lane Keeping Assist will make subtle adjustments to your steering wheel if the vehicle begins to drift. 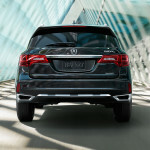 The MDX can follow markers on the road to determine if it is staying on the pavement or about to go off-road. 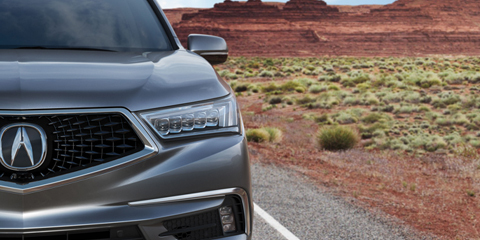 If it senses the MDX is going to leave the road without a signal indicator, this safety feature can alert you and even direct the vehicle back toward its lane in an emergency. 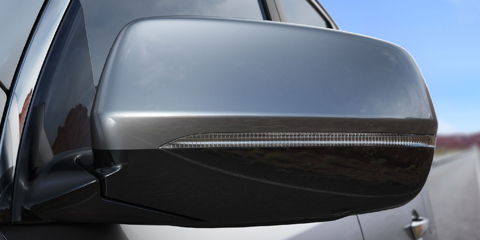 Found on Advance Package models, this safety feature uses radar sensors on the rear to detect vehicles in the “alert zones” or blind spots of the MDX. If the blind spot is occupied, a light shows up on the corresponding front pillar—the light flashes if you signal to change lanes when there is a vehicle in the alert zone.